Do I Need Diamox While Climbing Kilimanjaro? 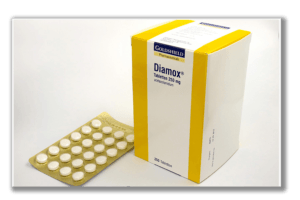 Diamox (generic name acetazolamide) is an F.D.A. approved drug for the prevention and treatment of AMS. Diamox is a drug that is commonly used in mountaineering to help stave off the symptoms of acute mountain sickness. The drug has been proven to help increase respiration in the human body, which in turn speeds up the acclimatization process. This helps to greatly reduce the chances of a climber contracting altitude sickness and can increase the chances of successfully reaching the summit. The drug isn’t without its side effects however as some people experience tingling in their fingers and toes, an alteration to the way some foods taste, and excessive urination. In rare circumstances, diamox can even cause blurred vision. All of these side effects stop once a climber stops taking the medication. Doctors recommend that climbers who decide to take diamox ingest a 250 mg tablet every 8 to 12 hours while traveling at high altitude. Trekkers heading to Kilimanjaro are encouraged to start using the drug one day prior to the start of their climb. Using diamox is a personal choice and is not required to reach the summit of Kilimanjaro. Many climbers make the trek to the top without ever taking the medication. If you are using diamox on your trek, be sure to let your guides know during your daily medical check.